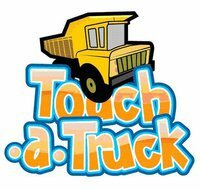 On Saturday July 30th, 2011 10:00am – 2:00pm the Freedom Playground at Haverford Reserve will be hosting their 3rd annual Touch-a-Truck program. This event allows children of all ages to get an up close and personal experience with fire trucks, construction vehicles, trash trucks, tow trucks, police cars, ambulances, a school bus, and motorcycles! There will also be a bounce house for the kid’s enjoyment as well as a “non-touch” display of antique automobiles. Food, snacks, and drink will be available for purchase as well. The Freedom Playground is hoping folks will please come out and help support the fundraising efforts of the playground which is still not quite complete! The admission cost is $20 per car/family or $5 per person. They will also be selling fund raiser items such as T-shirts, brick pavers, fence posts, and hand tiles to commemorate contributions to the Freedom Playground. You can “register” for the event on the 3rd Annual Touch-a-Truck Facebook event page or learn more about the playground at this link Freedom Playground or just drop on in on Saturday the 30th from 10am to 2pm! Additional designated parking will be available nearby at Athertyn at Haverford Reserve. Note: This event had been scheduled for July 23, but was rescheduled due to the excessive heat forecast.